Don't worry about the tongue-breaking name, it simply means 'sports complex at Engjaveg', the last word being a street name. 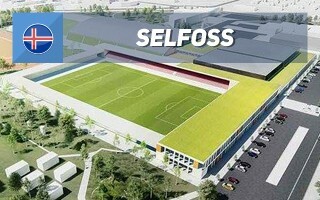 The complex already exists in the town of Selfoss, however it's hoped to undergo complete redevelopment in upcoming years. 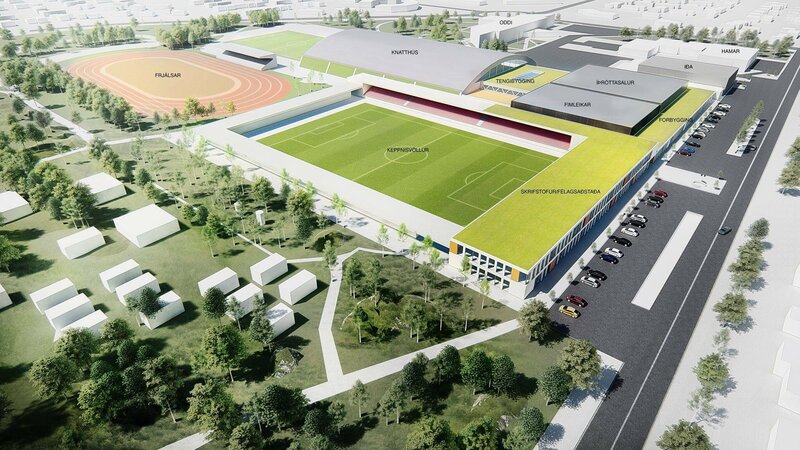 The goals were established following elections of 2018 and include retaining all 6 football fields currently used (one will be demolished and replaced by a new one in another location) while providing sufficient infrastructure for all 9 sports sections of UMF Selfoss to grow. 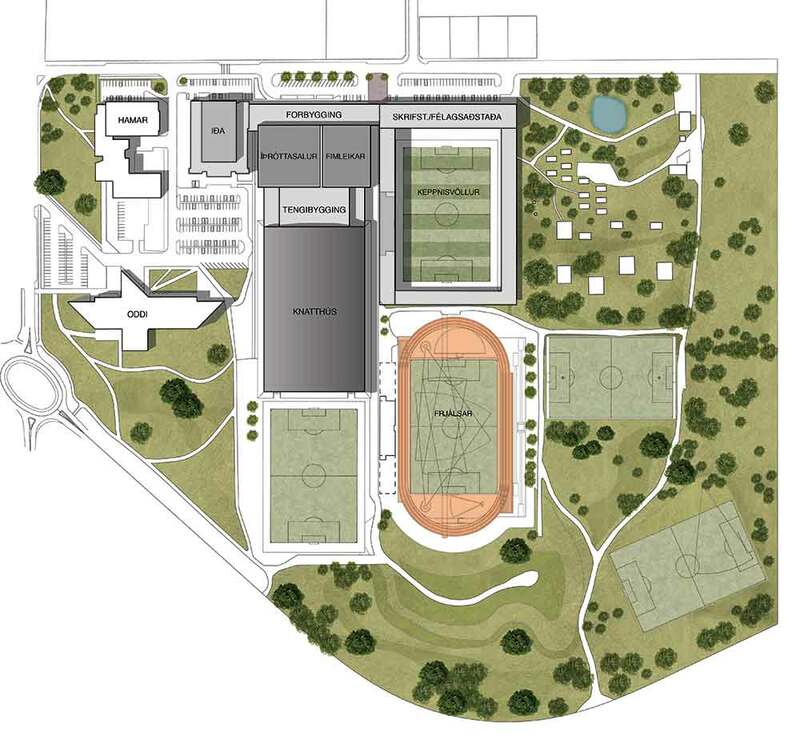 This includes the need for a brand new sports hall and gymnasium n the place of abovementioned football field. The two venues would be connected to an indoor football field, able to operate year-round. Main stadium would remain at the central natural field, just beside the indoor venues. 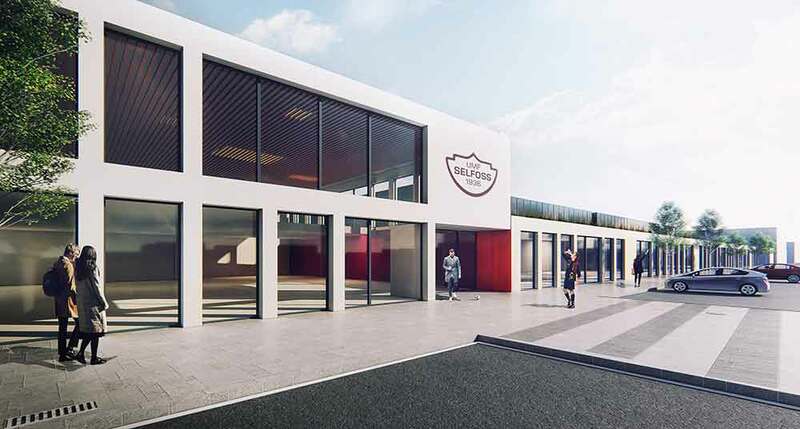 At present it offers one small grandstand but eventually be able to reach 4,000 in capacity, neighboured by offices and conference areas just behind the northern goal. In total there's 21,300 m2 of floor space planned, majority for public use. This includes serving students of the nearby secondary school. 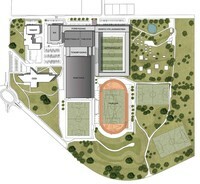 The master plan was created by Alark, Iceland's renowned architectural office for sports and cultural venues. Its cost is estimated to stand at some 5 billion krone (some €37.5 million) and would be paid in phases, along with the complex's delivery. Even if we count the largest suggested population of Selfoss, this plan offers over 3 square meters of sports infrastructure per person. And that doesn't include the six football field!